is a Happy Dance TUSAL! 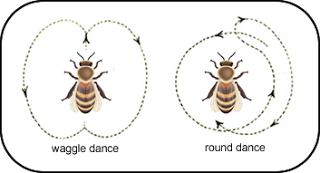 A Happy Waggle Dance for Gathering Honey by Jannlynn Designs! This kit was a gift to me from a friend who used to cross stitch. When she stopped stitching she passed me some of her stash and asked me to stitch this for her in exchange. This was not an easy project to stitch, the fabric had a very canvas-like feel to it and was a very open weave. I will have to go round and trim all the visible ends before framing. The threads were great, DMC numbers given so hopefully I can use the leftovers. Of which there are a LOT. Except for two colours which I ran out of. The backstitch instructions were not easy to follow. They insisted on referring to the flowers by name not place on the chart. The honeycomb was my favourite part, so quick to stitch and so effective! The crazy paving was fun too. I finished the French Knots this afternoon and thought I'd stitch something light and easy as a palate cleanser before continuing with my rotation. This is Just Nan's Memories which was a gift from Vickie, hence the pink linen! I stitched the pink flowers today. Aren't they pretty? And easy and simple and fun! This is going to be a long, thin piece with 12 bands so I planned to stitch one band per month but I think it will be done much quicker than that somehow! Finally, I have nearly reached the end of the metallic on Joan Elliott's 12 Days of Christmas! I feel like I have been stitching metallic border for months and months. According the photographic evidence - since January 2017! So yes literally for months! I have about 2-3 lengths of metallic left by my reckoning so you'll see it glitter when I show June's block. I really like this piece. You have a little of everything in it. Congrats on the finish! Bees, hives, flowers - all this is typical in May! Oh my Jo, this garden stitch is gorgeous!!! Your friends is going to be so excited when she gets it. It is a treasure and I'm sure she will be amazed at all of the hard work that went into it. She is a lucky girl. What a beautiful piece! Your stitching is gorgeous! This is such a gorgeous, gorgeous finish, Jo - so beautiful - I can just see you waggle dancing around the house with the Big Boy and Little Boy in tow! Congrats on the gorgeous finish!! :)That was indeed a complicated project the way you mentioned the instructions for backstitching etc. I love the designs on all four edges more than the one in centre. Woo hoo! Congratulations on Gathering Honey! I am waggle dancing. (I think I would fall down with too much round dancing.) 😍Love the JN Memories of course! The piece looks amazing and the message is so nice. Love the little bees in the corners! Beautiful piece Jo. Congrats, Jo! What a beautiful piece!! I really like these yellow flowers, the honeycomb and the bees!! Love the pink fabric for the Just Nan piece! Congrats!!! What a beautiful finish and I do love the Honey Comb. It is just an amazing project. Congrats Again for finishing the metallics With these two finishes, I would be happy dancing for days! Gathering Honey is marvelous! Congratulations! Your new start looks lovely as well. I think I need to check out Just Nan. Yay, Happy dance. It is such a lovely piece, I love the honeycomb border. The just nan piece is very pretty - so delicate. It looks fabulous Jo, the honeycomb border really brings the whole thing together. Stunning finish Jo, so many lovely things about it. A beautiful stitchery and I love the saying! Happy finish to you!! Ohhhhh, such a wonderful piece. I loved it from the beginning and was following its growth and progress. It just looks gorgeous. Congratulations! I wasn't so sure about Gathering Honey when it was just the center block - it was pretty, but just not entirely my cup of tea. Then you added the flower corners, and the honey combs, and now that it is finished I just LOVE it! What a gorgeous piece, and what an amazing journey from start to finish. Well done! Congratulations on finishing up Gathering Honey! I've always admired that one and now I admire you for persevering for so long to finally finish it! Big congratulations on finishing such a beautiful design specially with no so clear instructions. The honeycomb is my fav part too. Your friend will be so happy to receive it. Wohoo caught up enough to see your happy dance. Love this piece. Great job! Major Congrats!! Congrats, this garden is really nice, it must have been very pleasant to stitch with all the different parts to do : the plantations, flowers, paved paths, honeycomb... (hope your fingers were not to sticky!). Beesous (bisous- kiss). Oh no it's finished!! I'm going to miss seeing it in your posts. I love Gathering Honey. It's got everything in it. The bees look so lifelike. It looks like they truly alighted on the honeycomb fence. I love absolutely everything about this design. What a lucky friend you have that is going to receive this. She will surely treasure it forever.